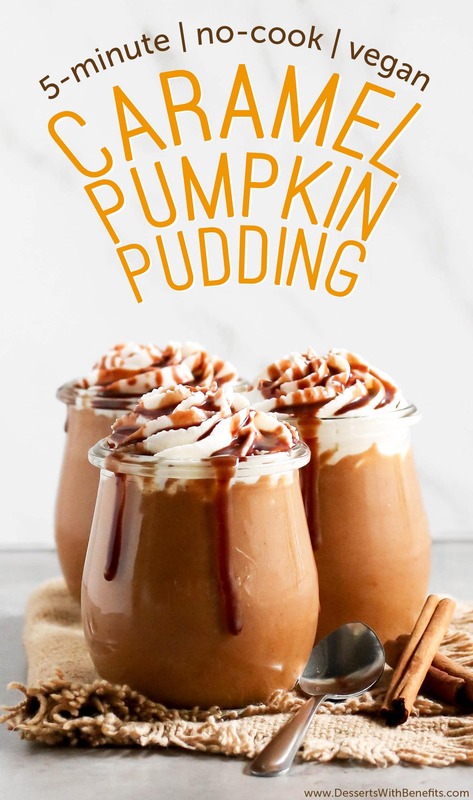 Ultra Creamy No-Cook Healthy Caramel Pumpkin Pudding... made vegan! This 5-minute Healthy Caramel Pumpkin Pudding is sweet, creamy and packed full of pumpkin and caramel flavor. 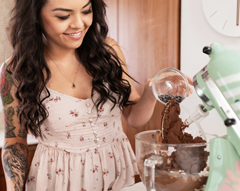 Best of all, it doesn’t require any cooking, is refined sugar free, low fat, eggless, gluten free, and vegan too! 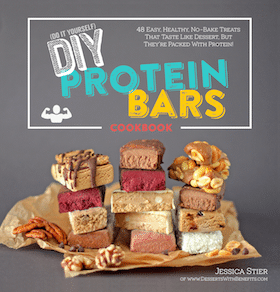 This healthy recipe sure won’t weigh you down. You can eat it straight up or use it as a dip for apple slices, graham crackers, your finger… pretty much everything. I made a batch of my Homemade Caramel Sauce the other day and for some strange reason I don’t know what to do with it! I drizzle some into my coffee each morning but I still have so much leftover. I have never encountered this problem with the last seven batches (yes, seven) so I thought about making a dessert with it. I looked in my pantry and I saw a can of pumpkin. It’s November, people like pumpkin, and even more people like caramel. I was too lazy to turn on the oven, despite the cold weather, so I thought about making something no-bake. 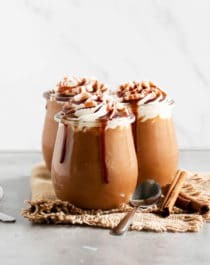 I went online and searched “caramel pumpkin.” Within minutes I was drooling all over my keyboard with all the delicious recipes I saw: caramel pumpkin pie, pumpkin spice caramels, pumpkin cake with caramel frosting, AHHHH just give me all of that please!! But I was in the mood for a healthy treat, not something that would weigh me down and make me feel sluggish, so I decided to just make my own caramel + pumpkin recipe. Into the kitchen I went. 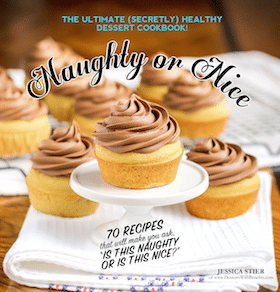 Pudding was the first thing that came to mind because it is quick to make, no-bake and super easy to healthify. 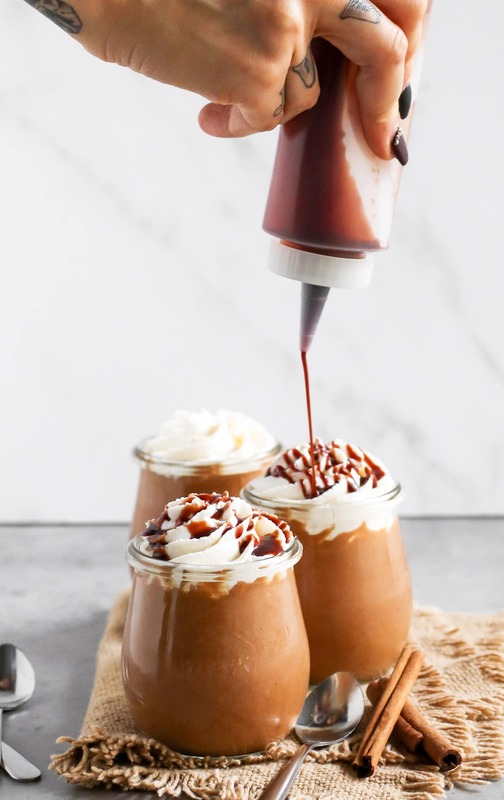 Toss a few ingredients in a blender and you’ll be rewarded with this Healthy Caramel Pumpkin Pudding — a light and airy dessert that you can feel good about eating! 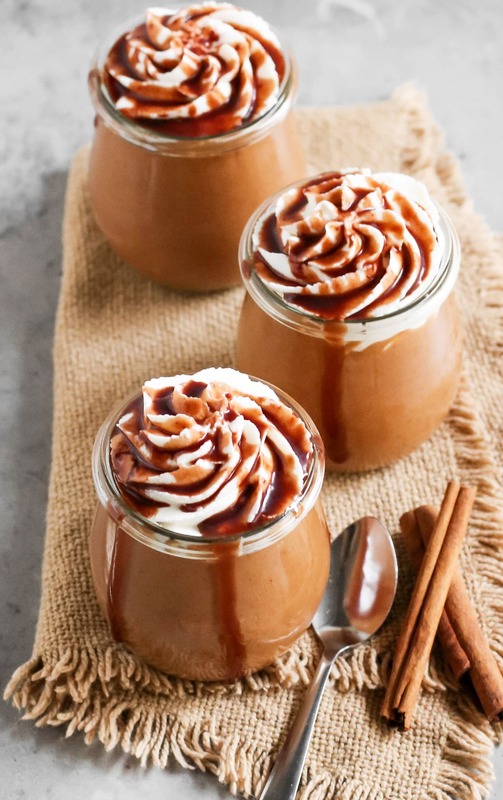 This 5-minute Healthy Caramel Pumpkin Pudding is sweet, creamy and packed full of pumpkin and caramel flavor. Best of all, it doesn't require any cooking, is refined sugar free, low fat, eggless, gluten free, and vegan too! In a blender, add the yogurt, pumpkin puree, caramel sauce, cinnamon, pumpkin pie spice, and salt. Blend until smooth. While blending, add the xanthan gum. Blend until smooth. Pour into serving jars, cover, and refrigerate overnight. Serve with coconut whipped cream and an extra drizzle of caramel sauce, or serve as is! Yum! This looks fantastic! 🙂 Thanks for sharing. Oooooooo! This sounds AMAZING! Inspirational Eve posted your recipe and SO happy she did! I’ve never heard of almond cultured yogurt before so am so very excited to try this product. You’ve got a new follower!